If there’s one thing I’ve personally learned from our travel couple interview series so far, it’s that everyone’s situation is unique. And this is a story we certainly haven’t heard yet. 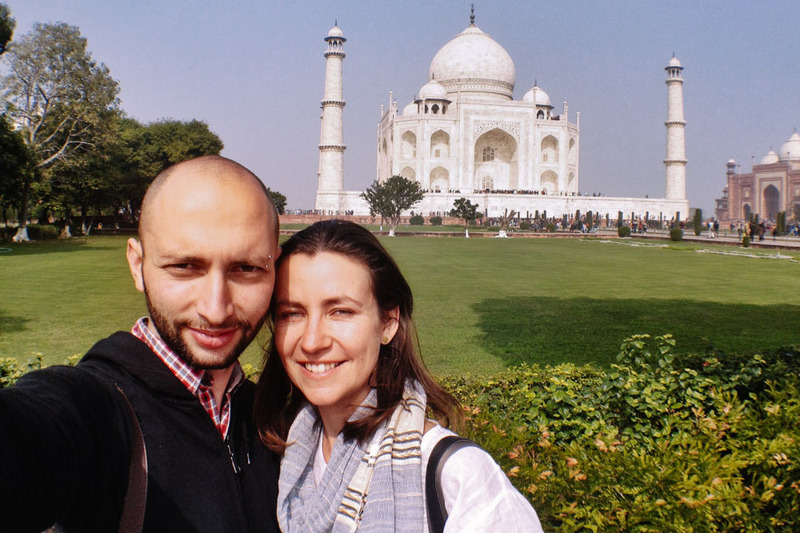 While most full-time travelers almost entirely give up life as they know it at home, Sergey and Jenia have proven that location independence is possible while also owning a home! So for you homeowners out there with traveling dreams: it IS possible. Read on to find out how! Hey there! 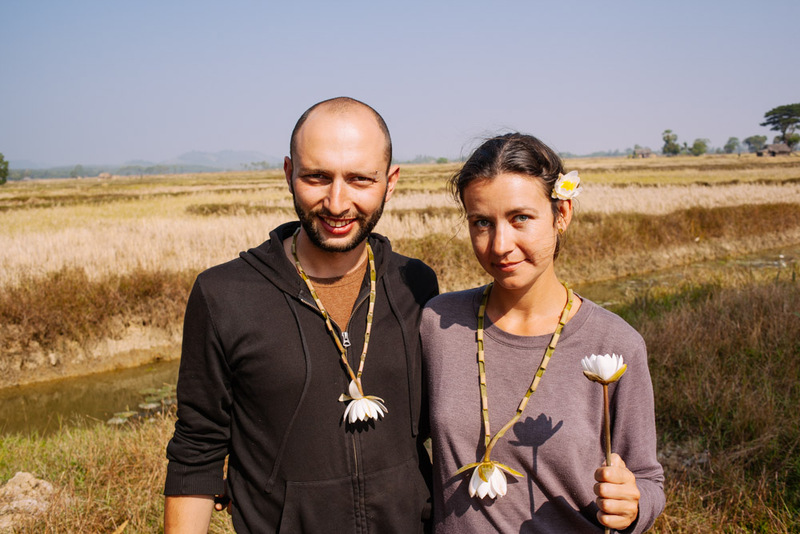 We are Sergey and Jenia and we are a couple of explorers, collectors, and storytellers. We fell for long term travel back in 2013, and haven’t looked back since. 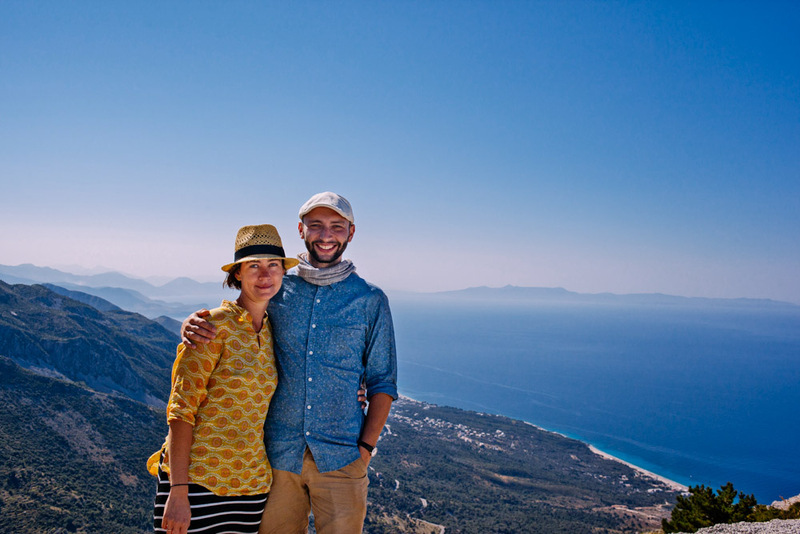 We share our adventures over on www.housetolaos.com, a blog about wanderlust and quest for a sustainable travel lifestyle. You can also find us over on Facebook, Pinterest, Twitter, and Insta/gram. Posts They’re Most Proud Of — You’ll wanna read these! Q. When did you decide to quit your jobs to travel full time? How long after that did you actually quit? Truthfully, we had never set long-term travel as a specific goal. The way it worked out is all happenstance. Basically, we had a number of factors that came together just at the right moment that enabled us to consider long term travel as an option. As the story goes, back in 2013, we were both ready to move on from our jobs where we had spent a few years. We had also just finished renovating our house. We got a re-appraisal on the house too, which showed that we accrued significant market value. So we had the cash from that to do whatever we wanted with. At the time, we thought about moving abroad to work, but then it occurred to us that the reason we would move would be so that we could travel and explore more of the world. So, why not just travel since we had the means to? So long term travel kind of fell into our lap, and we took and ran with it. Everything came together in about 6 months from the day we looked at each other and said ‘what about non-stop travel’ to the day that we boarded the plane with one-way tickets from NYC to Moscow. Q. What were the biggest influencers on your decision to quit to start traveling? Honestly, it wasn’t the dream of exotic destinations, but rather the tiresome routine and fear of forever being stuck in an office. That pushed us to the edge and we both felt that life should be more than that. Once we had the idea to travel long term, we researched a bit on the internet, and saw how many other people out there are doing just that. It was empowering to see a community of so many others traveling full time and never stopping. We had a rough budget in mind – with about 20k in the bank, and another 1K per month in income from leasing our house. So about 32k for the year. Plus freelance jobs for a cushion – we both worked a bit on the road for our old companies, but honestly that wasn’t very much. We ended up extending our trip by another two months and did not spend everything we had. We also had a rough itinerary — which chased the summer weather. We didn’t want to bring much in the way of warm clothes. Other factors that helped shape our itinerary were the visas – how long we were allowed to stay in any one country – and festivals, which we wanted to attend. We ended up following through on most of the intended places but we never planned the particulars more than 2 months in advance. So you planned for a year of travel, stretched your money out even further, and then returned home with too much love for freedom to go back to a normal job ever again? Yes! We basically got the travel bug real bad. We fell deeply, madly in love with discovering far flung places at a slow and steady pace. A week for the whole country of Vietnam just won’t do ever again. So obviously a normal 9 to 5 with 2 week vacation for the next 30 years isn’t an idea that either one of us is comfortable with. We love festivals, too! (Burning Man is our favorite so far.) Which ones would you recommend as ‘musts’? We would love to make it to Burning Man one day! Our favorite to date has been Sangrikan / New Year celebration in Laos. It was so much unbridled fun – and Lao people who are normally so reserved, they were just so open and good humored, we feel like we not only had a fantastically good time, but got a peek into Lao culture and people that we wouldn’t have otherwise had. Well, we made two very ballsy moves. At the ripe age of 25 and 26, with only a year of professional experience under our belt, we invested everything we had in a fixer upper house in an up and coming neighborhood in Washington DC. We proceeded with a gut renovation, again spending everything we had. Three years later our gamble paid off with a large increase in value. Instead of staying put though, we looked at the situation and said, we worked hard – why don’t we cash in on this investment? So we did — just a few months after finishing our renovation, we rented the house to strangers and went off to explore the world. So I guess we are unique in that we are willing to take risks and live large? Honestly, we didn’t struggle with either decision, nor feel particularly brave about them. But in hindsight, we’ve realized that this isn’t a typical path for most people. Wow, what an awesome story! Have you ever considered starting a house-flipping business? We talked about it casually, but it requires so much upfront investment, and it would really be a full time business that would tie us down physically to DC, so that’s probably not for us ultimately. Q. What are your goals for your blog/business/traveling life? We want to reach a sustainable travel-life balance — kind of like people talk about work-life balance, you know? We don’t see ourselves as permanent nomads. We like having a home base, friends we see regularly for happy hours, and we do love our house. But the goal is to split that time maybe half way with travel. We love traveling for longer and deeper periods of time, 2 weeks doesn’t quite cut it for us anymore. Ideally, we would like to be totally location independent even if we spend a significant chunk of time in DC every year. As a friend put it to us, we want to live with “Strong Roots, but no Anchors.” We couldn’t agree more! Everything else flows from that goal. Our blog is a place where we write about our travel experiences, as well as this quest for a sustainable lifestyle. We would love to bring in income from that — but we aren’t counting on this as our main source of cash. Our business/career goals are something we are still fleshing out, and aren’t quite ready to reveal. We will say this – right now we are both contractors with unlimited time off, and that has been stellar. In any given month we work about 3 weeks out of 4. We can adjust as necessary for our travel/other needs, bounded of course, by professional commitments. Finally, we are really focusing on ways to create passive income which could potentially sustain us if we decide to take off on a moment’s notice and go travel forever. Right now we are working hard on phase three renovation of our house, creating a rental unit in our basement. What types of passive income ideas are you guys exploring? For sure rental properties – our basement will be its own apartment that will generate monthly income. Another one is savings via market index fund that generates interest revenues – first up we have to save enough though! Smaller ways too, like affiliate links – we aren’t aiming to make a monthly salary here but a few hundred dollars would be great. The key is to create several streams that don’t require active time commitment from us and which can sustain us IF we aren’t earning money for some reason. This will allow us to pursue work that we feel passionate about without worrying about sustaining ourselves. Q. At what point did you just know you could really do it? Or have you not yet reached that point? A few months after we arrived in Southeast Asia we realized that we could potentially live as expats in this area of the world just by relying on income from renting our house plus freelance work, which we both had/have. But of course, Southeast Asia is only one part of the world – one with incredible value. We would like to be able to travel and live anywhere we like, and we haven’t quite gotten to that point yet. Q. What’s the biggest thing you’ve struggled with since you started your new exciting journey, and what have you been doing to overcome it? Ironically figuring out the life-travel balance. We both love travel, but we also love to spend time with friends, family, and in our house. If you will, we are trying to figure out how we can have our cake, and eat it too! Kids – which we think we want – complicate the picture. We’ve been talking through this, tossing around ideas, and we are pretty sure we will get to a path forward, but it’s been hard. Part of the complication is that we are juggling so many possibilities that could lead to so many directions. So I guess I would say staying patient and talking through opportunities has been our approach. Q. What’s the most awesome thing about the journey you’re on now? This is sappy — but each other. We’ve been together for nine years now, and have done a lot as a couple. But traveling together – meaning spending 24 hours a day together – has really sharpened our communication skills, made us more compassionate towards each other, and has brought us closer as a couple. The other part, of course, is learning first hand how awesome the world is. 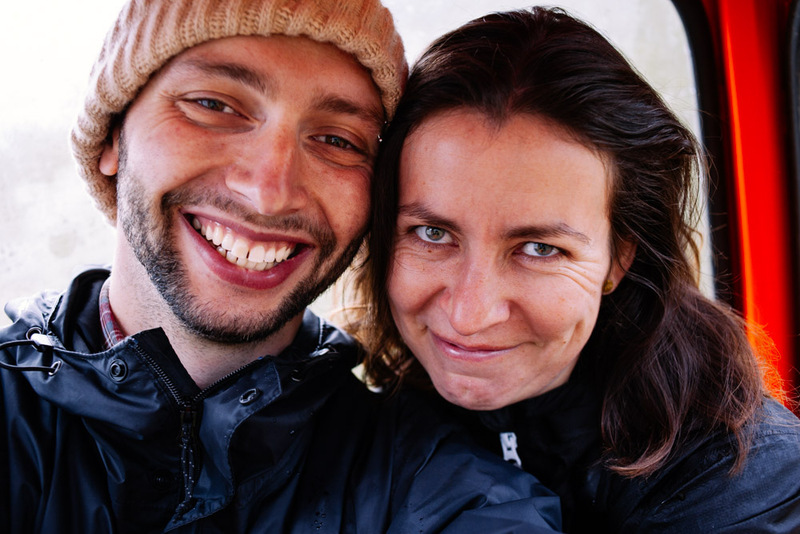 Neither one of us ever expected the worst of people even before setting out to travel, but going out there and experiencing genuine kindness and curiosity of people every day across so many countries and cultures has been really special. Q. If you were single, would you have done it alone? Do you think it was easier to quit as a couple? This is tough! We haven’t been single since college, so much of our true adulthood has been spent with each other. But we do have to say that this idea of travel came to us simultaneously, we really can’t attribute it to one or the other. So, going by that we may have well traveled even if we were single. On the other hand, both of us feel that travel is easier as a couple. We each have specific strengths and weaknesses when it comes to travel and tag teaming challenges is always easier. Q. What advice do you have for a couple (or individual) considering taking the leap themselves? Q. Do you ever regret quitting or wish you had your old life back? Q. Where are you now, and where to next? We are back in Washington DC at the moment, saving up some money while doing contract work and traveling around the US. We hope to tackle a basement renovation, which will really boost our passive income stream. We are also working on setting up professional careers that will enable us to live part time in DC and travel for long stretches at a time. How we plan to get there is still under wraps. Stay tuned! If there is a will, there is a way — We weren’t seasoned explorers when we boarded the plane on a one way ticket from NYC to Moscow. We had a mortgage, and student debt. We have a cat, and parents – who weren’t thrilled with our decision. We took a risk assuming that our tenants would pay their rent. But all of this is just circumstances – we made a decision to go, and we did. So can you. Have a question for Jenia and Sergey about life, travel or anything else? Post it in the comments below or head on over to House to Laos to say hello! You can also follow their travels on Facebook, Twitter, and Insta/gram. Previous Article [VIDEO] Just Released: Burning Man 2014 Caravansary — Now Who’s Ready for Burning Man 2015? Thanks to both of you! It was a pleasure hosting you. And yes — let’s hope our travel paths cross soon!